Autumn is an important time of year for taking care of your lawn. The effort you put in during autumn will improve the quality and health of your lawn right through into spring and beyond. Here’s some tips on caring for your lawn in autumn from our friends at Rolawn. 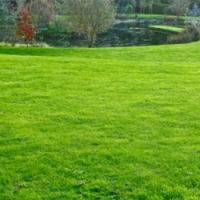 As the days grow shorter and the temperatures begin to fall the rate at which the grass grows will slow, meaning that the lawn will need mowing less frequently. It is also a good idea to raise the height of cut as winter approaches. An autumn lawn feed will supply your lawn with the essential nutrients it needs to strengthen itself for winter. Applying an autumn lawn food in early autumn helps combat disease and improves the lawn’s colour. 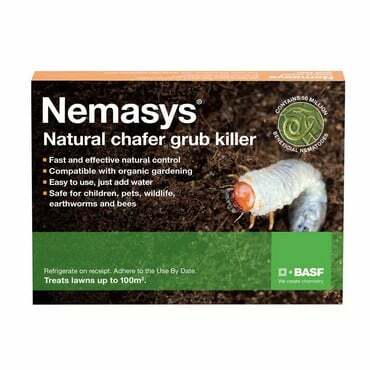 Yellowing, weak or thin areas of grass or birds pecking at your lawn can be a sign that Leatherjackets or Chafer Grubs are feeding on the grass roots. Badgers and foxes can also cause a lot of damage as they dig up the lawn to hunt for grubs. 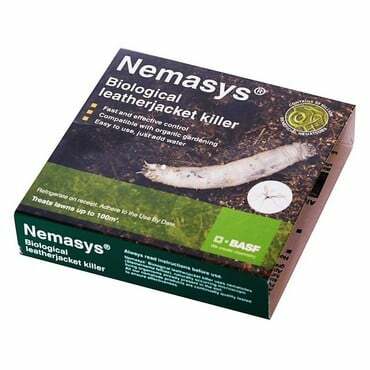 The grubs can be easily controlled by treating your lawn with a suitable biological nematode in early autumn, which is a safe, natural, non-chemical pest control for lawn grubs. Damaged areas can then be repaired with new turf or by overseeding if required. If moss is a problem on your lawn you will need to scarify it with a scarifying rake in early autumn when the grass is still growing, is an ideal time. Applying a moss killer first will help to remove more of the moss. Allow the moss to turn brown/black, then scarify using a spring-tine rake or scarifying rake, pulling it vigorously through the grass to remove the moss and dead grass. This can be hard work, so for larger lawns a wheeled scarifier helps take the strain or you can hire an electric or petrol scarifier from a local hire shop. After scarifying it’s a good idea to top dress and overseed to aid new grass growth and help fill in any gaps before weeds encroach. If you notice areas of the lawn where the grass is thinning and water tends to sit on the surface after heavy rain, chances are the soil is compacted due to repeated or heavy traffic. Aerating the lawn with a hollow tine aerator or a lawn spike aerator will relieve the compaction, improving drainage and allowing air into the root system which will improve grass growth. Applying a lawn top dressing will help to even out any minor undulations, stimulate new grass growth, improve drainage and help to control the build up of thatch. It’s best to top dress when the lawn is dry to avoid the top dressing sticking to the grass leaves. After mowing and any other planned maintenance has been carried out, apply the top dressing and work it into the lawn surface using a stiff brush. 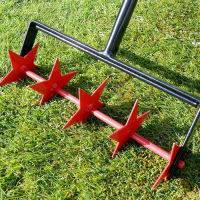 To save time you can also add some lawn seed to the top dressing to help fill in any thin areas. Try to keep the lawn tidy, using a rake or brush to remove leaves and other materials that fall on the lawn as often as possible. 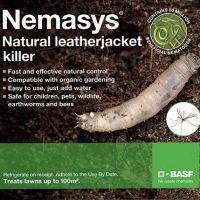 If left, leaves will trap moisture and encourage disease and worm activity. If worm casts appear, they are best left to dry and then dispersed using a brush, trying not to smear them and cause muddy spots to form.